This petition has been created by Lowell and may not represent the views of the Avaaz community. 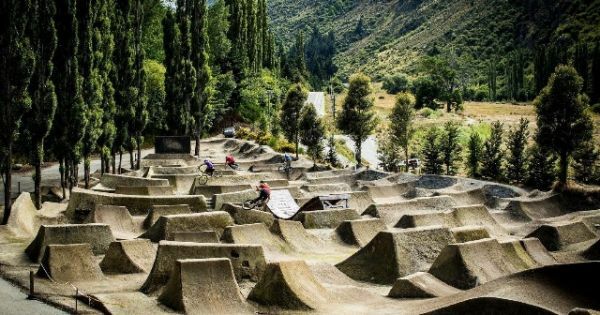 The Gorge Road dirt jumps are a world-class facility for BMX and Mountain Bikes, created and maintained by more than a decade of passion and dedication from Queenstown locals. Despite their immense value to the world of riding and the Queenstown community, the jumps’ existence is now in jeopardy. The Queenstown Lakes District Council has announced that it will destroy Gorge in the foreseeable future, citing ‘Infrastructure’ as its reason. While a replacement location is being discussed, it is as yet unidentified, may be much further from town, and would need to be built up from scratch. However, if enough public protest is raised, the Council may reconsider. Gorge is more than a set of jumps. It is a work of art, a labor of love, a training ground for some of the world’s best athletes, and a place for young and beginning riders to discover and progress in a new sport. More than anything, it is a home that brings together people from all over the world. Its value to the bike community, and to the character of Queenstown, cannot be overstated. Help us save the best jumps in the world!